Shelters need the volunteers because there isn't enough to take care of the animals. They have lots of animals and it is a lot of work to do take care of them. My question is who would accept a job with no pay and lousy hours? My opinion is i would not accept a job with long and lousy hours with no pay.My connection is on avatar the last air bender the television show this guy named sokka he took a job with this old man. sokka did work long and lousy hours over the sea. opinion-yes! i would work at animal shelter for no pay because animals are just like people they need to survive .the only thing they have is us to depend on we take them out for walks to go to the bathroom or give them food and water .So i would want to work for them for no pay. Connection-i connect with this because i did something for someone or thing that i didst want to do and did not get payed. lesson learned :i learned that you should help people and animals. they don't like pay for work. i think they want work for no pay. all work like 4 or 8 years job. at work place like job. Shelters do need work, and this one didnt have it before but now they do. People want time with animals, and that is probly why they are willing to wrok at and animal shelter. Either they dont have pets, or they have an allergie or if they have some, we ALL share a love for certain animals. I read the article "Want a job with no pay, lousy hours, and stinky?" It was inspiring to read that all these people are giving their time for the animals because there is no pay and you have to wash them, clean up after them, feed them, walk, train and play with them. Before reading this article, I did not know that you needed that many people to work at a shelter. They need more than one person to do things such as feed, groom, clean up after, train, walk, show, and work in the office. The Critical Thinking Question asked: Why must shelters depend on volunteers who work for no pay? Why are people willing to work for no pay? I think they depend on people working for no pay because they need the money for upgrades in the shelter and supplies for the animals. People are willing to work for no pay because they probably love animals and they don't think pay is needed to take care of animals. I wondered how could a painting be worth $11,000? I'm glad that the people mentioned, and not mentioned in the article are volunteering to help out the shelters. Even if they don't get paid, they are just happy doing what they are doing. I like that. 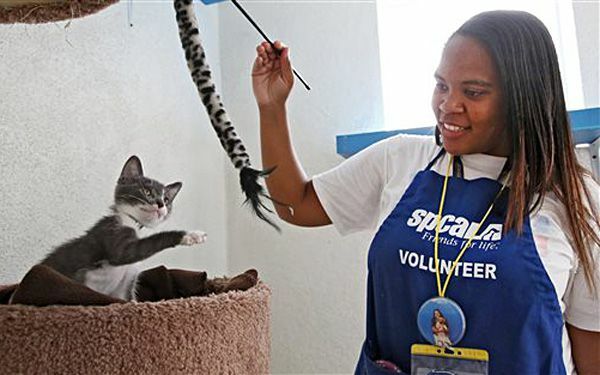 This article is explaining just how much volunteers at animal shelters across the nation help. 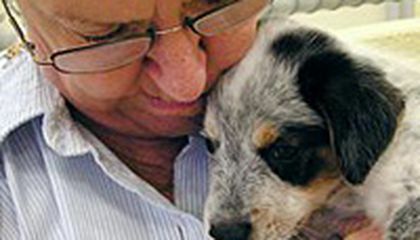 The article gives a few examples of people who have really just devoted themselves to helping their local animal shelters. These are of course extreme cases, but even people who just volunteer a few times are helping. The reason volunteering at animal shelters is such a kind and greatly appreciated thing is because when you are asked to come in to volunteer it could be sometime in the middle of the night. Another reason is that there is no pay for the volunteers, so they really are just doing for the animals. I really enjoyed reading the people who have volunteered and helped the shelters so much. I loved learning about the devotion and love for animals these people have.